Today I am visiting Santa Fé which I found out that it means the Holy Faith. 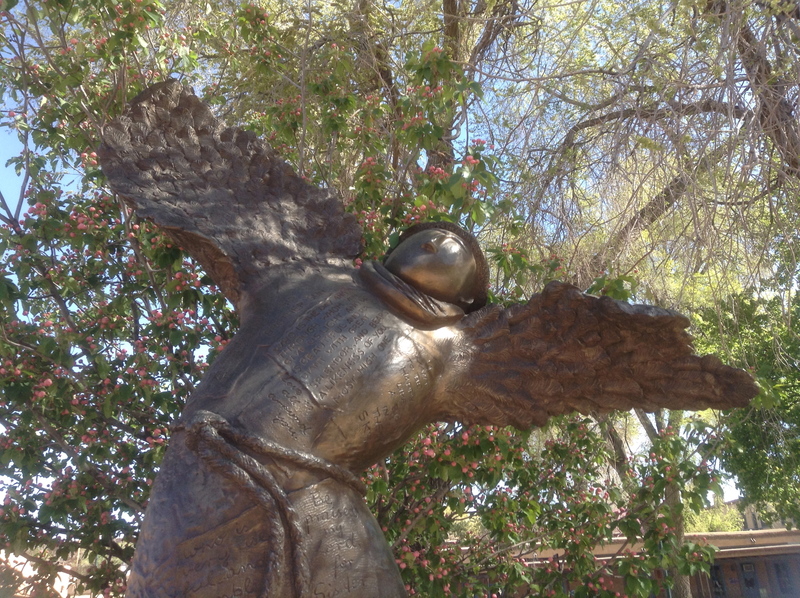 When it was first named it meant the Holy Faith of St. Francis of Assisi…but it was shortened to just the Holy Faith. I have found out that one of the oldest Madonna’s in this country is at the Basilica of St. Francis but since there were two services for funerals I have not been able to see it yet. But the early morning here around the cathedral grounds was full of the “Songs of Birds” and in the garden was written “St. Francis Preaching to the Birds” chapter XXI verse 58 on a garden plaque. “My brothers, birds you should praise your Creator very much and always love him, he has given you feathers to clothe you, wings so that you can fly and whatever else was necessary for you. God made you noble among his creatures and He gave you a home in the purity of the air though you neither sow nor reap. He nevertheless protects and governs you without solicitude on your part” Finally he blessed them, and then after he made the sign of the cross over them and he gave them permission to fly to some other place. I sat and just silently listen to the birds sing and fly over my head the humble violet grew under the plaque that seemed at the feet of Saint Francis of Assisi words. 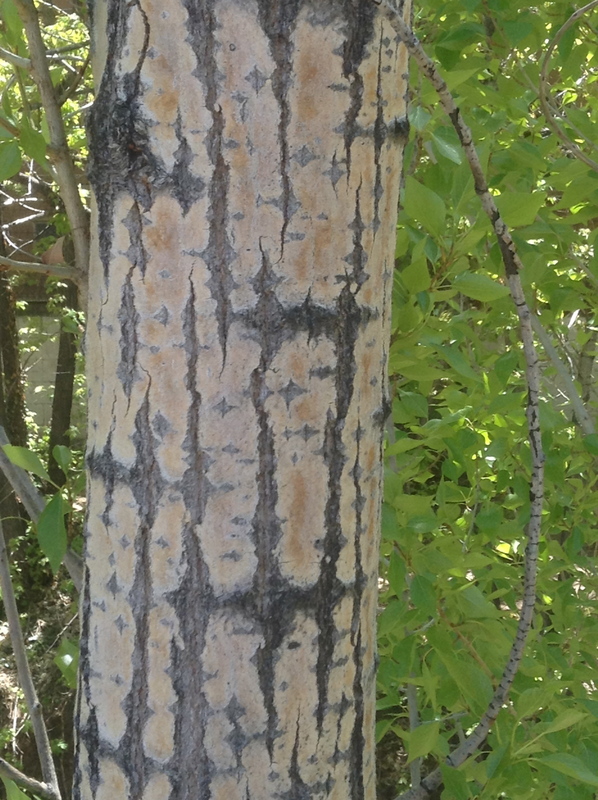 I found some magic on two of the trees near by that the nature spirits themselves seem to etched the Holy Cross in the bark of trees…..finding the Spirit of Christ in every living thing. 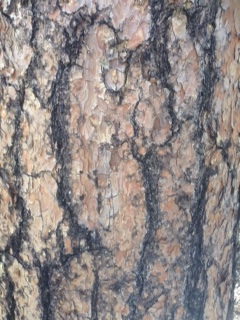 If you look very closely you will see the faces of Mother and Child in the bark of the tree.